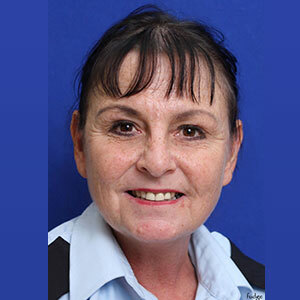 A police spokesperson said, “It is with deep sadness that the Bermuda Police Service and the Bermuda Reserve Police report the death of our colleague, PC 1181 Dawn Jeffrey [Darby] of the Bermuda Reserve Police. Dawn passed away at the hospital, at the age of 55. “PC 1181 Dawn Darby joined the Bermuda Reserve Police on November 1994. She was consistent with her service to the Bermuda Reserve Police and has spent her whole police career attached to the Western Division. “PC Darby sat and passed the promotion exams in 1998 and spent the following two years as an acting Sergeant. She was promoted to the rank of Sergeant in 2003 and thereafter served several periods as an Acting Inspector. “As a Sergeant, Ms. Darby was commended for good work on several occasion and spent time developing her operations skills mainly by assisting the watches and also by also involving herself in community policing patrolling the Dockyard area during the peak season. This is a role that she enjoyed very much. “Upon the restructuring of the Bermuda Reserve Police and the retiring of the ranks on October 7, 2015 and with twenty-one years of service, Sergeant Darby elected not to continue serving in a supervisory capacity.